Reverse Engineering is the process of taking a part and reconstructing dimensional data in a format from which new parts, molds, or tools can be produced. Reverse Engineering can also be described as the process of measuring a physical part or artifact, and producing new CAD geometry or manufacturing drawings. 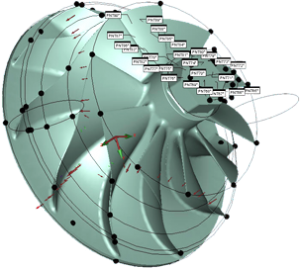 Scanning data is gathered to generate a CAD file for modern manufacturing methods. Components can be accurately Reverse Engineered. Reverse Engineering is usually undertaken in order to design / redesign a product for better manufacturability, or to take advantage of modern equipment. e The geometry can be a physical measurement using traditional hand tools, non-contact inspection equipment or coordinate measuring machine. It is important that the correct techniques be used to capture geometry for any Reverse Engineering project. 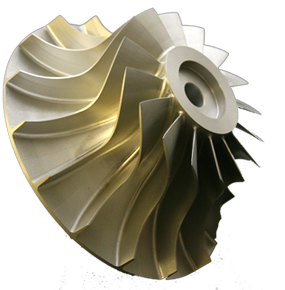 The data collection method is dependent on the part shape, required accuracy, project goals, and how the final results will be used. The expertise required for a company to supply accurate Reverse Engineering services is directly related to the process itself. It is essential to have the ability to accurately measure a part, and to reproduce it’s geometry from the measured results. While it is beneficial to have some experience in the field related to the product being reverse-engineered, the skills needed to replicate complex geometry are most valuable. Experience in providing accurate dimensional inspection services is an important prerequisite for any Reverse Engineering function. When Advanced Measurement Laboratories carries out Reverse Engineering, we analyze what makes a product work. We offer a variety of custom digitizing services suitable for everyone for every product of nearly any size, and from any industry. After digitizing, we produces a CAD file. For each client, Advanced Measurement Laboratories rigorously reviews the results of Reverse Engineering so that the final results will be presented in the best possible way to our customers. Advanced Measurement Laboratories creates customized in-depth reports, and those reports specify the exact answers to the questions posed. We capture data points in 2D or 3D using contact or non-contact methods. The collected data points can be supplied in convenient CAD formats as required by our customers. A large segment of our customers include consultants, lawyers and engineering companies requesting either data retrieval of part geometry or generating part prints. The data is generated by scanning X Y Z points and supplying them in an ASCII, DXF or IGES format. Advanced Measurement Laboratories is well conversant with CAD Model based inspection and part to CAD comparison. Our Reverse Engineering Service practices quality procedures per AS 9100 Rev C & ISO 9001:2008 guidelines. Employing a professional and hands-on management approach, our Reverse Engineering & Digitizing services are brought to you by the finest technicians in the industry.